SafraNika Ernesto Talisman Gitano 2rd Best of Somali International Division. The SafraNika cattery will introduce you to the Somali cat breed. These cats are often called "Sun Foxes". A sultry sun of savannah muffled up in the most delicate fur coat and endowed with a sensitive soul. Am image of a cat that grew up in the wilderness, a cat sliding smoothly, as if segueing from on dimension into another. A charming touch of silky coat and exceptionally clever eyes, which look right into your heart. Lively, mischievous and at the same time very delicate, they will become your best friends. Gently, barely touching, like a fluffy little sun, they will cover you with the magical bliss of magnetic energy, will fill the house with joyful warmth even on the rainiest days. 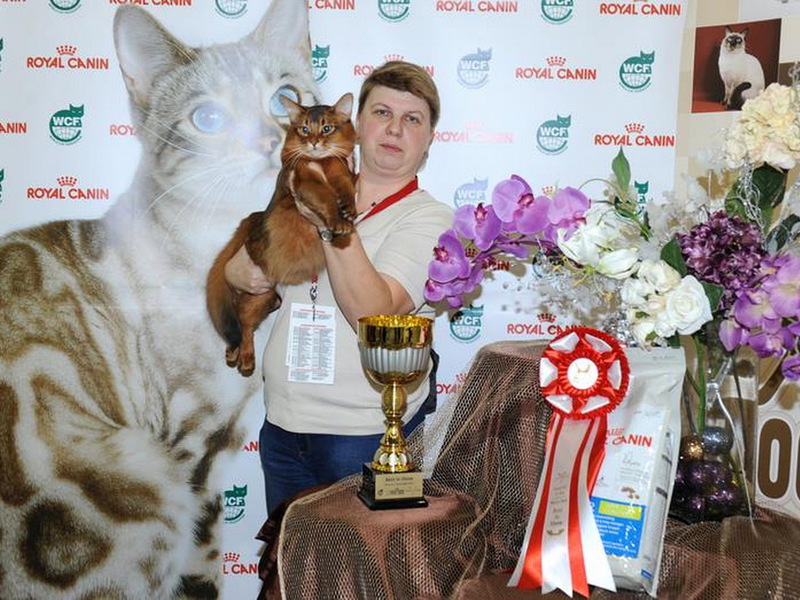 The SafraNika cattery is located in Western Siberia in Omsk and breeds Somali cats in the classic Ruddy and Sorrel colors.The cattery is registered by the international feline organizations CFA and WCF. 10.01.2014. 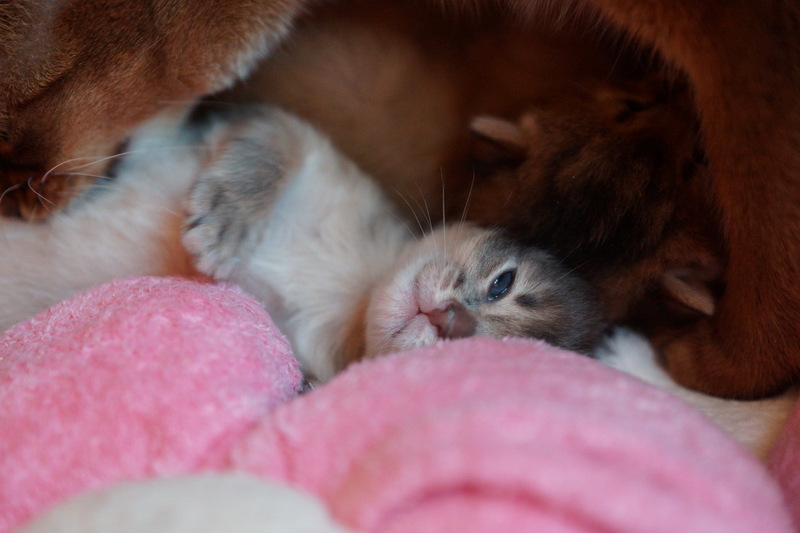 Somali and aby-var kittens. Blue somali female and ruddy aby male. 7.12.2013. 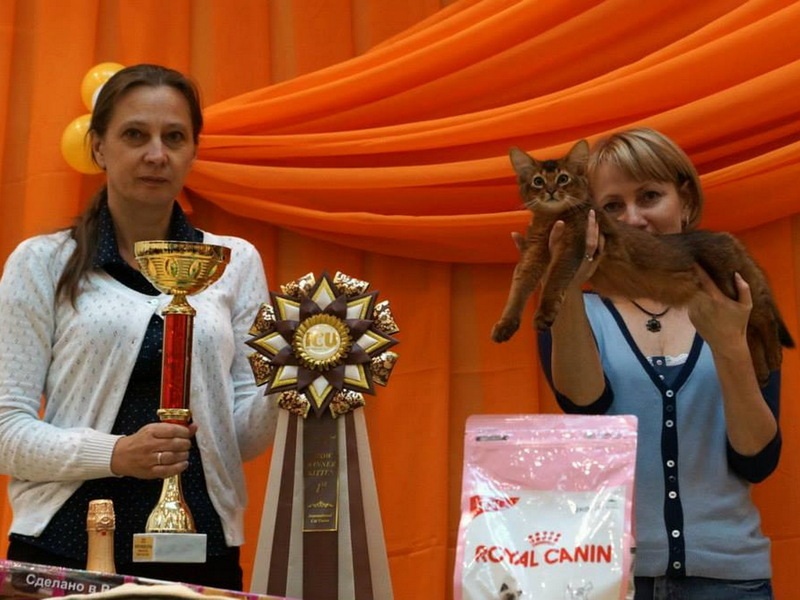 Grand Prix Royal Canin - 2013 in Moscow. SafraNika Ilay - Best Neuter SLH. Congratulations! 19-20.10.2013. ICU show in Omsk. SafraNika Mr Hitch - Best Kitten. © 2011-2016 SafraNika. All rights reserved.